For the last 4 months now MID Communications has had a partnership with Infiniti Retail Group and we are delighted to say this now extends to My Ideal Destination. MID Communications and My Ideal Destination are sister companies that sit under MID Group. At MID Group we always strive to build strong relationships with other businesses in the North-West and beyond. We would like to thank the team at the retail Infiniti group for the work they did with us in late 2018 and look to grow this relationship in the years to come. 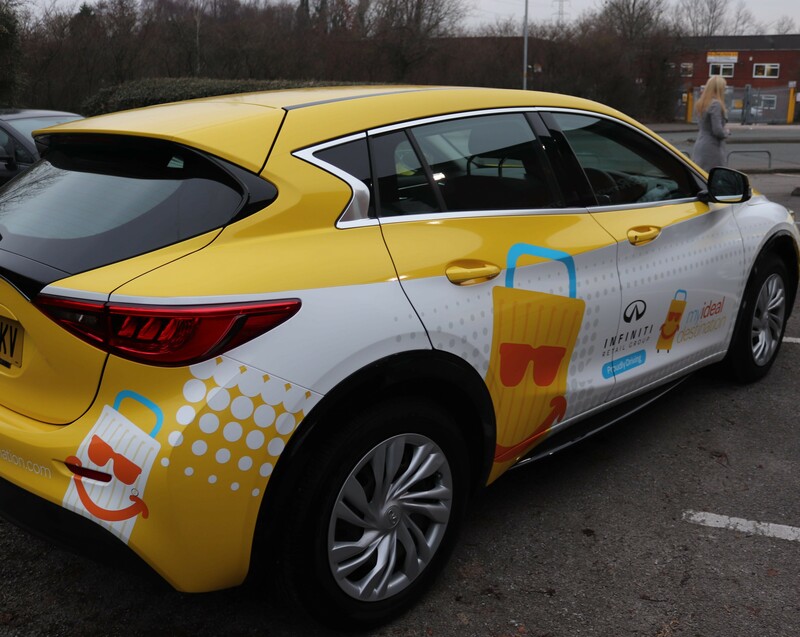 Infiniti is now proudly driving My Ideal Destination with two cars fully wrapped in My Ideal branding that are sure to be noticed by the General public when they are out and about. When building relationships and partnerships we always think about how they can be used to benefit our people. How can we use them to make life a little bit easier for everyone at MID Group? Also, what can we offer to our partner companies in exchange? As part of our association with Infiniti, MID Group employees can get a brand-new or used Infiniti car at a discounted rate. This is a fantastic deal for someone looking for a stylish, reliable premium vehicle and now at fantastic value for money. In return, we have registered Infiniti on O2 Open meaning all their employees can enjoy up to 25% off their O2 airtime tariff through MID Comms as well as great discounts on travel through My Ideal Destination. 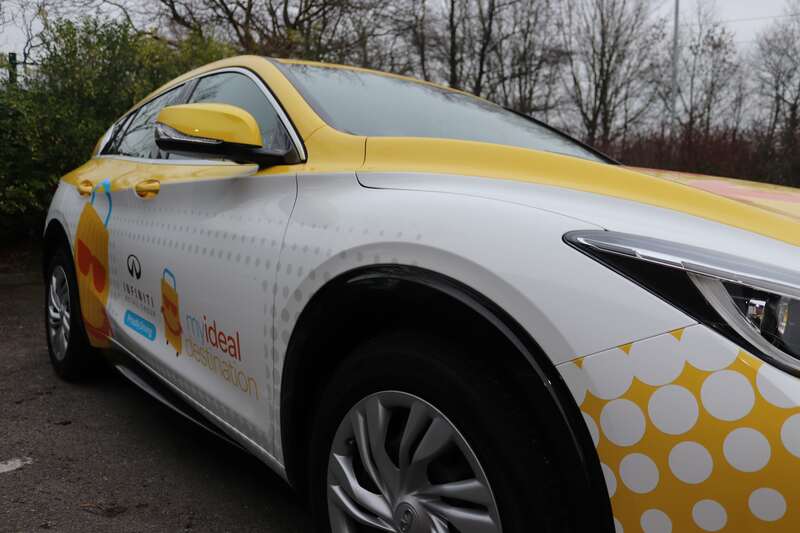 Both cars will be used as pool cars for our head office team to use as they travel across the Northwest, and as both cars are wrapped in My Ideal Destination branding this is a great way to soft launch My Ideal’s marketing campaign. 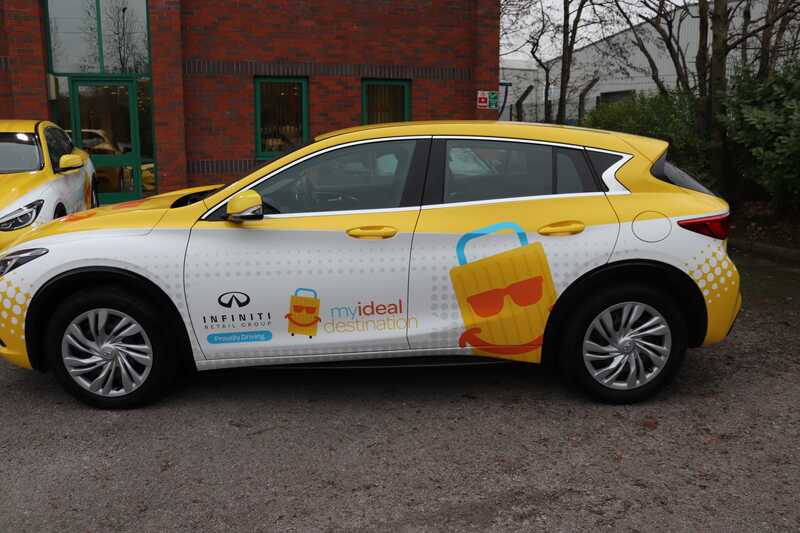 If you see one of the My Ideal cars out and about, simply snap a picture and tweet it to @myidealtweets and you could be in with a chance of winning £50 of a holiday! We look forward to seeing what the partnership with Infiniti Retail Group brings going forward, and we are excited to work with them for the next two and a half years. We would also like to thank General manager, Dan Fudge, at Infiniti cars Stockport and as well as group manager, Alan Rotchel, who were instrumental in supporting and concluding this partnership. We hope to see them both and some of the team at the My Ideal launch party next week.